← Blog Hop – What is your writing process? Fridays are the best. One of the reasons is that I try and give you some ideas for weekend reading. I realize that I have not been doing book reviews the last few weeks. I can tell because I made up a list of the books that I have to review and there are 16 of them! How can that be? One of the reasons is that I have wanted to a post about the genre “cozy mysteries”. I happen to be a fan of the cozy mystery. I didn’t know that they arecalled cozy mysteries until about a year ago. I just knew they were mysteries. In case you are with me on not being up on all the genres, I will give you a quick definition of a cozy mystery. The cozy mystery usually takes place in a small town or village (click here to read more on the village setting). The small size of the setting makes it believable that all the suspects know each other. The amateur sleuth is usually a very likeable person who is able to get the community members to talk freely (i.e. gossip) about each other. There is usually at least one very knowledgeable and nosy (and of course, very reliable!) character in the book who is able to fill in all of the blanks, thus enabling the amateur sleuth to solve the case. At the same time, it is probably safe to say that the local police force doesn’t take the amateur sleuth very seriously. They dismiss her presence, almost as if she doesn’t exist. This of course, makes it convenient for her to “casually overhear” things at the scene of a crime. I have been reading cozy mysteries for a long time. I am not sure but I probably started with the beloved Miss Marple books by Agatha Christie. There are many cozy mystery books these days. I have recently found some authors of cozy mysteries that are new to me. 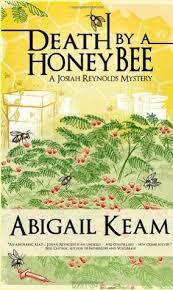 I found Death by Honey Bee by Abigail Keam as a discount book for the Kindle. It is part of a series and this is the first book in the series. Josiah Reynolds is out checking on her bees when she finds a man face down in one of her bee hives. It becomes worse when it turns out that the man is dead and he is a rival beekeeper. Before a cause of death is even decided, the police are acting like Josiah is a killer. When the cause of death is not ruled homicide, she feels obligated to clear her name. At the same time, the ruling does not seem to stop the police from trying to pin the non-murder on her. I enjoyed the story and the introduction to the characters. There was just the right amount of intrigue to get me to want to read the next book in the series. (And you need to read them in order.) I did read the next book, Death by Drowning. It carries the story along nicely. As a regular mystery reader, I liked the ending of the book. It was not the standard ending for a mystery. 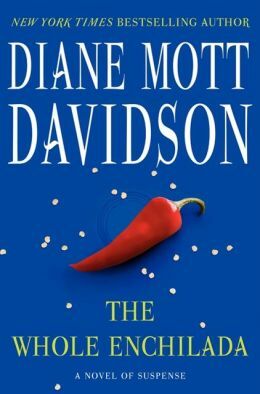 Another of the “cozy mystery” authors is Diane Mott Davidson. Her latest book, The Whole Enchilada” came out last August. Goldie Schulz is a caterer in Aspen Meadow, CO. She caters the birthday party for a friend’s son. As the friend is leaving the party, she dies. Goldie takes it upon herself to try to unravel what has happened to her friend. Along the way, Goldie is injured and learns more about her neighbors than she ever wanted to know. There are several recipes in the book that go along what Goldie is catering for parties. This is the 17th book in the series. I have enjoyed many of the stories. This particular one left me a little flat. I felt that the end was abrupt. Not only was the killer found and Goldie endangered in the process but there was a personal surprise for Goldie at the end. If you have not read these books before, I would start at the beginning of the series. I think that the books can stand alone but I think the first ones are more fun. 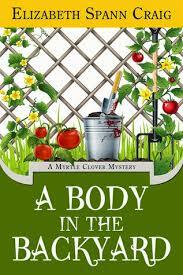 Body in the Backyard is what in my mind I would think of as a contemporary cozy mystery. The author of the book is Elizabeth Spann Craig. Octogenariean Myrtle Clover is shocked to find a body in her back yard. She feels that this definitely entitles her to try and find the killer. Her son, the police chief does not agree. That does not stop her for looking into the murder and enlisting the aid of her neighbor, Miles. Together they have some close calls but the murderer is eventually found. This is the 4th book in a series of what is about to be 7 books. (The 7th book comes out in the fall. )I had no idea that it was part of a series. I would certainly read the others. It was an easy enjoyable read. It does not appear that you need to read the series in order. All in all, the books on today’s list are enjoyable and are very easy reads. Stop on over at http://www.juliatomiak.com/ if you would like to find out my take on popcorn books. 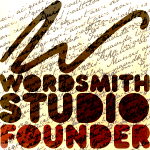 I am guest posting on Diary of a Word Nerd this week. 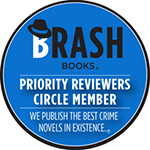 This entry was posted in Talking Books and tagged Abigail Keam, Body in the Backyard, cozy mystery, Death of a Honey Bee, Diane Mott Davidson, Elizabeth Spann Craig, The Whole Enchilada. Bookmark the permalink. I kept hearing “cozy mysteries” thrown around at a writing gathering and had no idea what that meant to thank you for the lowdown. The book recos are very helpful! Thank you thank you! I’ve been wondering what exactly a cozy mystery is, and now you’ve cleared that up! Also, thanks for guesting at the Word Nerd and sharing some popcorn reads!